Does Your Visual Merchandising Have Instagram Power? How do we capture attention in this digital age? With so many retail brands all vying to be seen, businesses are required to work overtime and bring innovation to sales strategies in order to stand out from the crowd. Visual Merchandisers play a crucial role in this. You have the laborious task of mixing art, commerciality, and authenticity in order to take the customer from the street to the store. It’s challenging. And at times, your greatest efforts can feel like popping a Christmas cracker on New Year’s Eve – a little behind and not enough noise. Thankfully, there are tools that can give you the competitive edge in this demanding landscape – if utilised correctly. We all know the immense power of social media apps like Instagram, Facebook, and Snapchat. These platforms serve as alters for consumers to worship brands, lifestyles, and each other. But how does it help businesses in a practical sense? Lexington Law reported that 83% of Millennials found viewing online content useful in making purchasing decisions. Next to a Kardashian/Jenner #sponsored ad, there is no higher endorsement than one by the genuine, unpaid market. 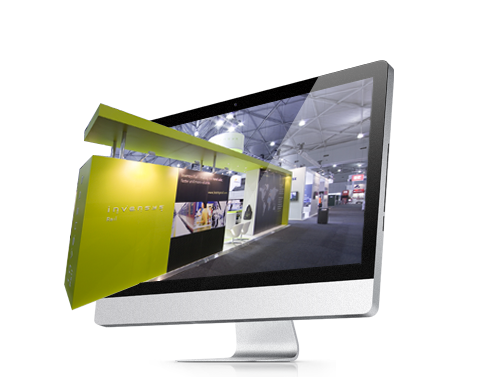 So how do you make sure your dynamic display makes it mark and gets the viral attention it deserves? First you need to know the arena in which you can thrive, then you need to innovate. While all social media platforms should be used in some form to promote your brand, it can’t be denied that with over 500 million users (80% of whom follow businesses), the holiest of shrines for Visual Merchandising is Instagram. Instagram is a purely visual medium with content being distributed and shared via photographs and videos. It is an extremely effective method of disseminating your brand’s message further, generating interest, and most importantly getting customers in-store. The most effective way to grab your audience’s attention in this arena is by creating a visual showstopper in the midst of a never-ending feed. One that stops the mindlessly scrolling and commands the viewer to take note and engage. The image was striking, unique and featured an interactive element which encouraged users to whip out their smartphones and share the content on Instagram to their followers. A great case of organic, authentic dissemination - for free. 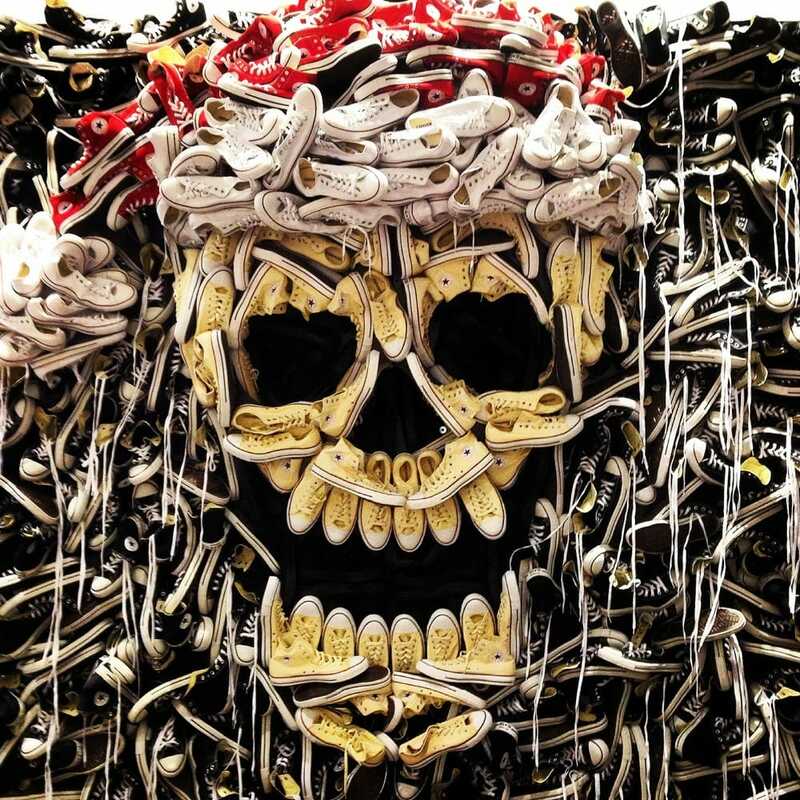 Though not as striking and artful as the Converse display, this image made the rounds on Instagram due to the humorous, engaging and importantly, relatable content it provided. 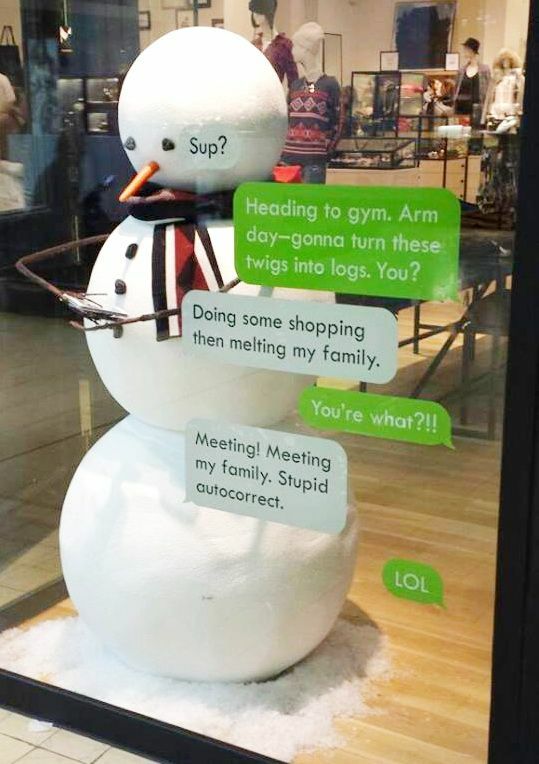 This is a great example of a way you can use your storefront to showcase your brand’s personality build a positive brand image by connecting with your customer on a different level. 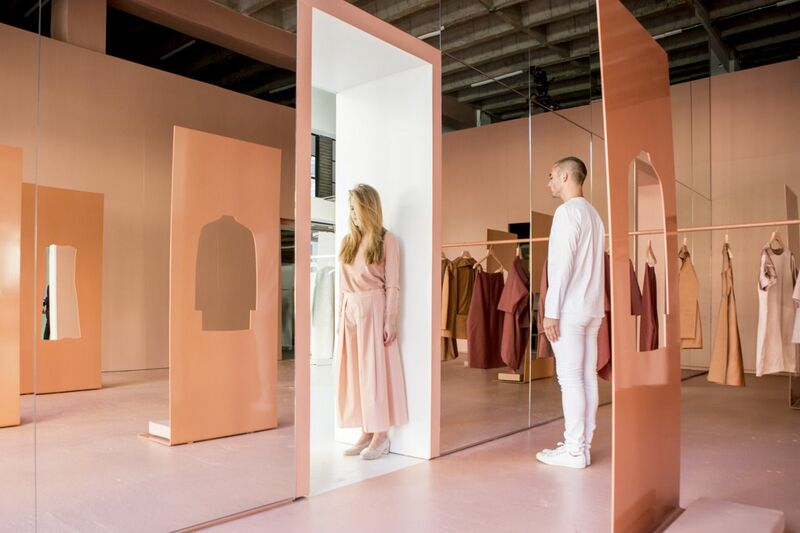 Once upon a time the Visual Merchandising team from Collection of Style collaborated with Brooklyn studio Snarkitecture to create a pop-up store in which they installed beautiful cut-out garment silhouettes that customers could pose in front of. There’s nothing users like more than getting involved and interacting with the image for the sake of the Gram, so predictably this display resulted in high levels of engagement and participation. We know there are plenty of other apps we can use to share content, so why is this particular platform most important to you? As seen in the graph below provided by Forresters, the research has consistently shown that Instagram is the best social network for organic engagement with users by a long shot. This user engagement with the brand is invaluable, it literally cannot be bought, and is one of the most important metrics for a successful business. You’ve got the ideas, you’ve created the beautiful space. All you need now is a shrine. If your store front is Michelangelo’s David, think of Instagram as the Lourve. Past examples and research has demonstrated that the most effective way for your Visual Merchandising to reach the widest audience possible, is to display it on the podium of Instagram. Now that you have your attention on the method of effective dissemination through Instagram, the second consideration should be on innovation. As relieving as it would be to rely solely on Instagram’s algorithm to present your content to the masses in a viral fashion, success will require a little more creative effort. As you’re dealing with users who already belong to a social media community, you need to speak their language. Think of you can do to build on that community and what you can offer them in exchange for an endorsement (i.e sharing your content). Some tips to remember when approaching your next Insta-friendly Visual Merchandising task is that you need to create something that is personal and shareable. Consumers want to lead Insta worthy lives and star as the leading role of their accounts so the content you offer needs to be fresh and unique. 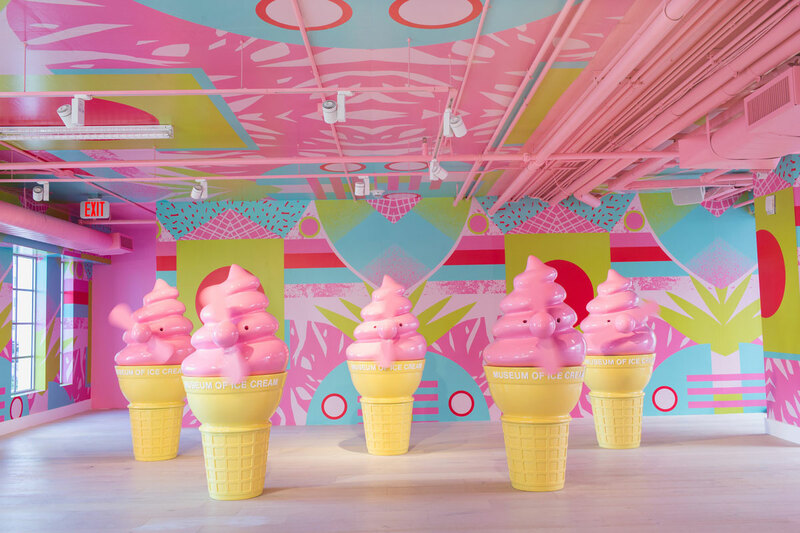 One company taking display and retail innovation to the next level is the Museum of ice cream. And yes, it is exactly what it sounds like. Part museum, part ice-creamery, 100% sensory overload. With each room having a different display and interactive element, this company doesn’t just create Instagrammable moments, but a total immersive Instagrammable experience. This model has contributed to the company’s huge success. Since opening it has welcomed over 1 million visitors and boats a social media following of more than 300,000. It has now become a must-see destination for all photo-happy Instagrammers all around the world. The success of this approach is supported by research. According to Eventbrite, “For Millennials, experiences continue to trump things: 3 out of 4 Millennials would choose to spend their money on an experience rather than buying something desirable.”. So what better way to accommodate this changing market and get the jump on your competitors by taking your Visual Merchandising one step further and creating not only a moment, but also an experience. For Instagram users especially, it’s all about having a unique experience and sharing it online with others. Couple this with a series of branded hashtags to make sure your display circulates to the right audiences and can be readily found. You have to remember that using social media and Instagram as a form of advertising is not a stagnant process but an active one. Meaning it is constantly evolving and it is advisable to evolve with it. A great way to remain active and keep up user involvement is to create spaces for the customers themselves. Outside of product promotion, it’s a great way to encourage people to spend time in your store in a relaxed setting, even if they’re not shopping. Further to this, it is a valuable opportunity to get some customer feedback on any aspects of the brand. 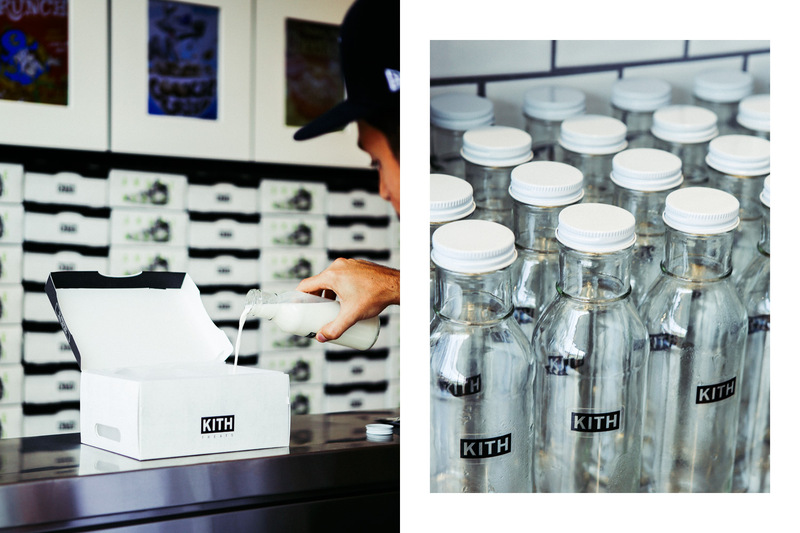 KITH, a New York based streetwear has taken this approach and set up a KITH treats cereal bar in-store where customers can grab a snack while they spend time browsing. This helps the customer feel more at home, encourages them to stay longer, and fosters some good will towards the store because who doesn’t love a freebie. It’s a lot to ask however informed innovators tend to succeed no matter what. And in an industry where attention is in high demand and short supply, it is important that one remains adaptable and willing to go outside the box to create new ways to wow people. It’s true what they say about people not buying what you do but why. So the focus should always be about sparking joy and creating fun experiences for your customer. Giving them an authentic moment that makes them whip out their smartphones, interact with the beautiful space you’ve created, and share it with the world.